Arnold Schoenberg (13 September 1874-13 July 1951) was an Austrian and later American composer, associated with the expressionist movement in German poetry and art, and leader of the Second Viennese School. He used the spelling Schönberg until after his move to the United States in 1934 (Steinberg 1995, 463) “in deference to American practice” (Foss 1951, 401) though one writer claims he made the change a year earlier (Ross 2007, 45). Schoenberg was known early in his career for successfully extending the traditionally opposed German Romantic traditions of both Brahms and Wagner, and later and more notably for his pioneering innovations in atonality. During the rise of the Nazi party in Austria, his music was labeled, alongside swing and jazz, as degenerate art. In the 1920s, he developed the twelve-tone technique, a widely influential compositional method of manipulating an ordered series of all twelve notes in the chromatic scale. He also coined the term “developing variation”, and was the first modern composer to embrace ways of developing motifs without resorting to the dominance of a centralized melodic idea. 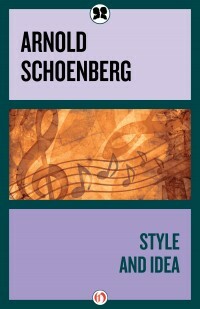 Schoenberg’s approach, both in terms of harmony and development, is among the major landmarks of 20th century musical thought; at least three generations of composers in the European and American traditions have consciously extended his thinking, and, in some cases, passionately reacted against it.